There are lots of interesting and beautiful places to visit in Turkey, and it’s a destination that you can travel to 365 days a year. To make things easier for other visitors, I’ve made this list with 25 places to visit in Turkey. 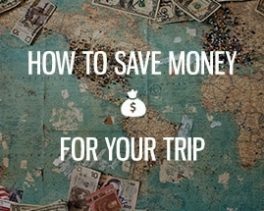 I think this list is a great start when planning your trip! 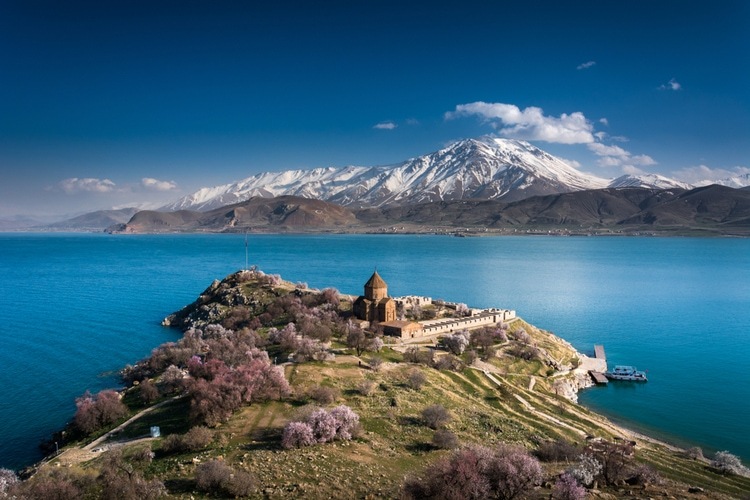 The places aren’t ranked in any particular order, and they’re just numbered as a reference to the list of 25 Amazing places to Visit in Turkey. A saline soda lake that is famous for its exceptionally blue water. It’s 119 kilometers (74 mi) across its widest point with a total area of 3,755 km2, which makes it the largest lake in Turkey. According to the legends, there is also a monster living in the lake, similar to the legends of the Loch Ness Monster. Where: In the provinces of Van and Bitlis. 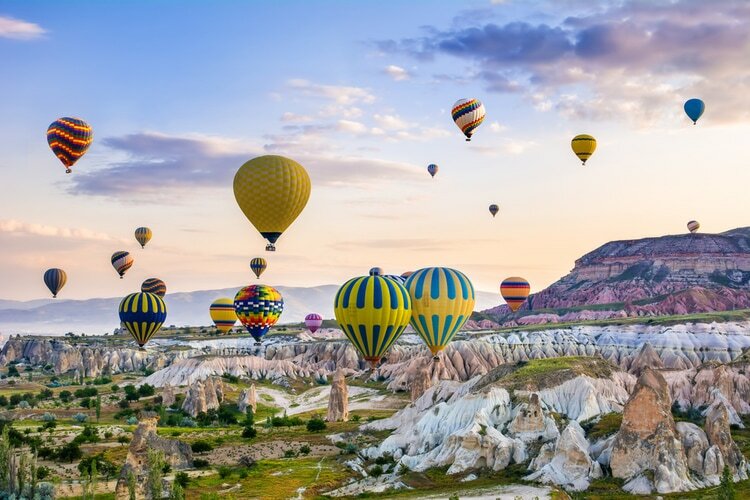 In recent years, Cappadocia and the hundreds of hot air balloons have gone viral in social media. 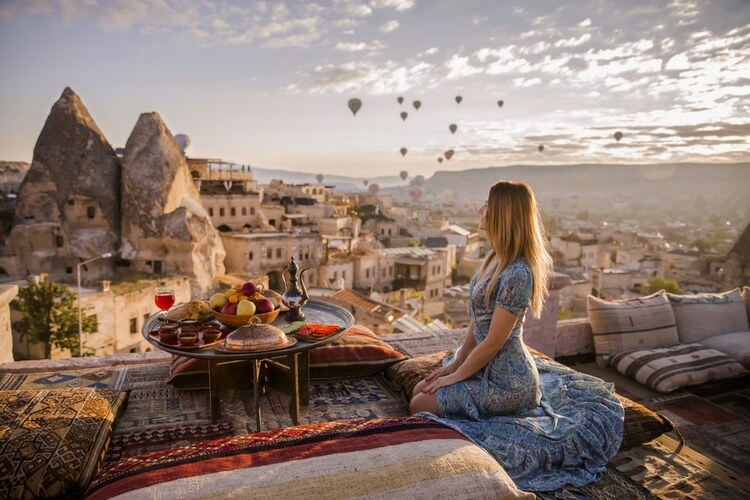 It’s truly one of the dreamiest places to visit in Turkey, and a place you should write down on your bucket list ASAP! One of Turkey’s most spectacular waterfalls and also the largest waterfall. However, these days there is only a surplus of water between the months of May and June. The waterfall is almost dry during the other months. Where: Erzurum Province in Eastern Turkey. 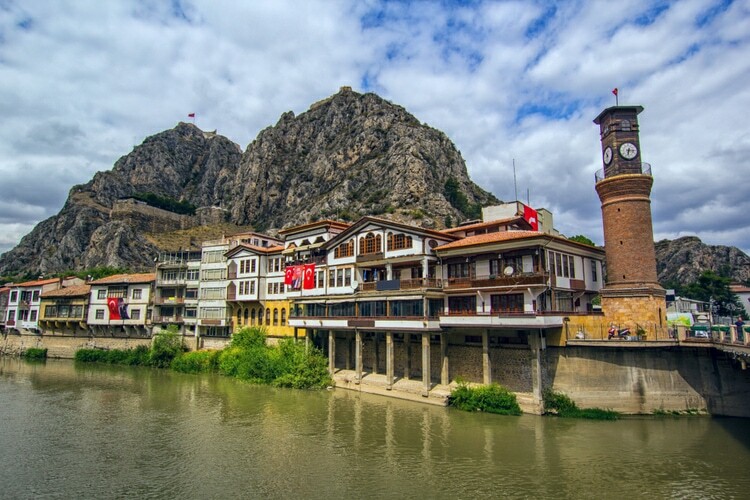 This small city is beautifully situated in a narrow valley on the banks of the Yeşilırmak river. So what makes this place famous? Well, it is said that the Turkish folklore of Ferhat and Şirin took place here. In addition to that, you can enjoy an authentic cultural experience and admire the charming Ottoman houses and antique bridges. Not everyone is aware that Turkey is home to many antique places, and even fewer know how well-preserved these sites are. While Greece and Italy have their fair shares of impressive sites, Ephesus was an important city in ancient times. It’s especially famed for the Temple of Artemis, which was one of the Seven Wonders of the World. 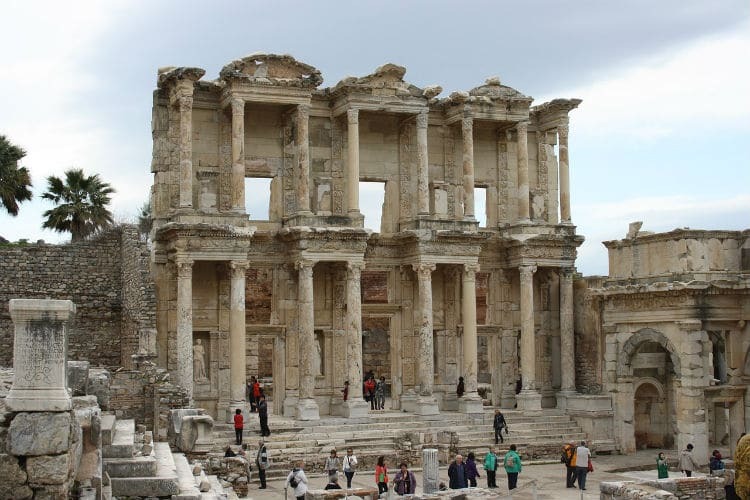 Ephesus is also famous for being home to one of the seven churches of Asia that are cited in the Book of Revelation. Ephesus is one of the largest Roman archaeological sites in the eastern Mediterranean, and it’s easily accessible from Kusadasi. This place makes me think of Switzerland or the Alps, and it’s truly one of the most beautiful places to visit in Turkey. 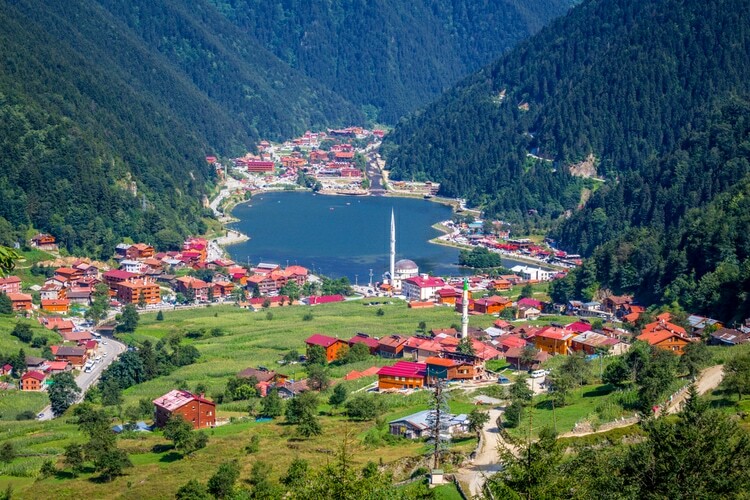 The traditional Turkish houses combined with the landscapes are a pure bliss for the eye. Where: A valley near the city of Trabzon, about 1h 35 minutes driving. 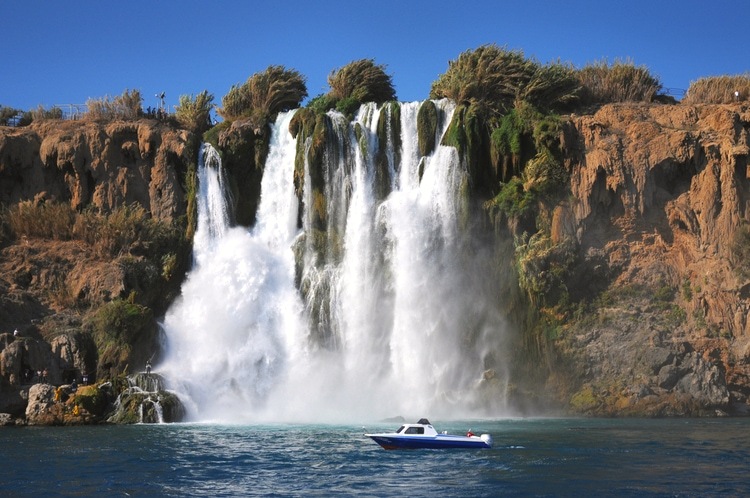 There are two parts known as the Duden waterfalls. The first one is the upper, and the second is the lower Düden Waterfalls (pictured below). The first one is just as scenic, but instead of flowing out into the ocean, it’s nestled in the trees. It’s a popular place among locals to cool off from the heat. 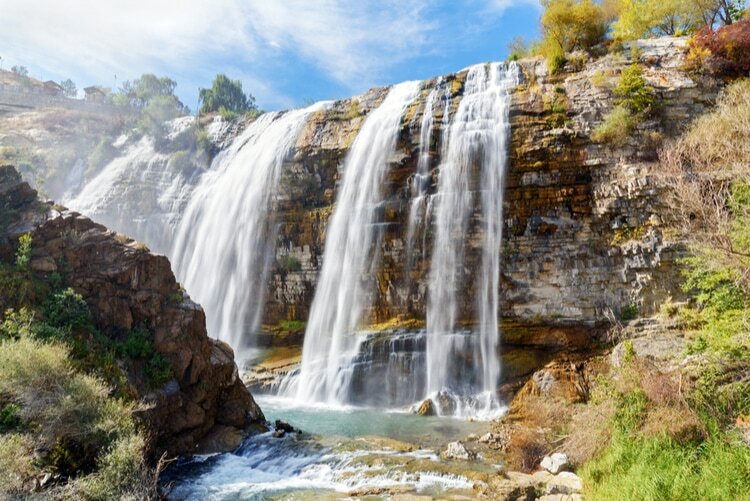 The upper part is also known as Düdenbaşı waterfall. Famous for skydiving, beaches, and incredible scenery. 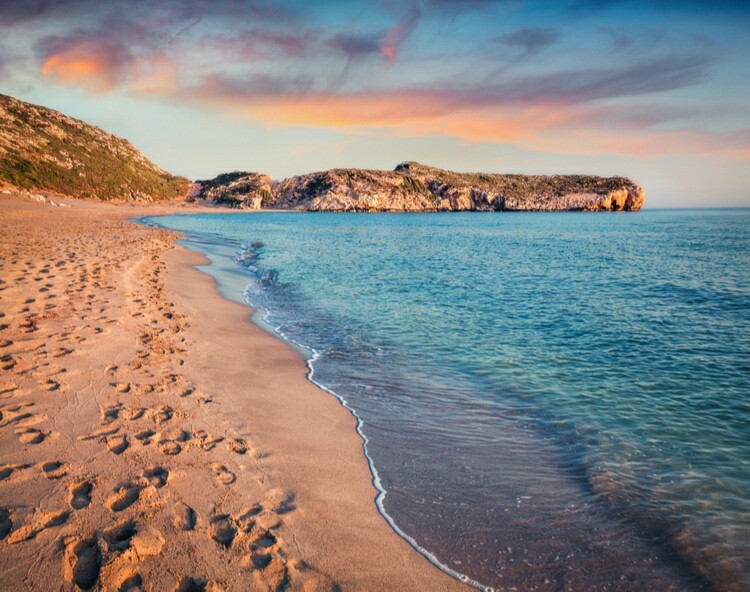 Öludeniz is a paradise for vacationers looking for beautiful beaches, tranquility and charming villages. Öludeniz is without a doubt one of the best places to visit in Turkey! Another UNESCO world heritage site that’s worth a visit. Mamure Castle is a medieval castle that was built by the rulers of the Armenian Kingdom of Cilicia. 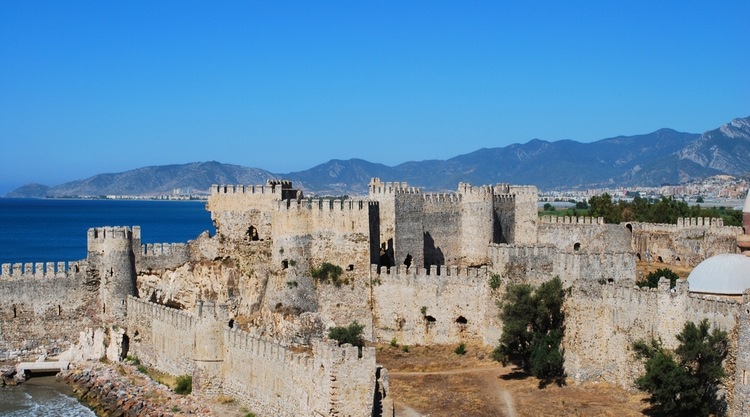 Since then it has been destroyed and repaired numerous times during the Byzantine period and the crusades. It’s a spectacular fortress that stretches 23,500-square-metre (253,000 sq ft). This place has been famous among tourists for a long time. 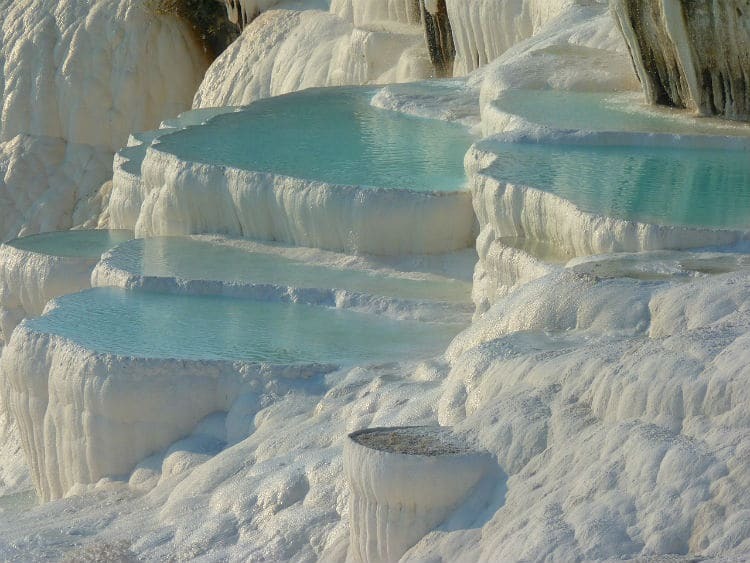 Even before modern tourism, it was a popular place thanks to its thermal springs. In addition to thermal springs, one can also see ancient ruins from the city of Hierapolis. The Roman ruins are well-preserved and deserve a visit on its own. 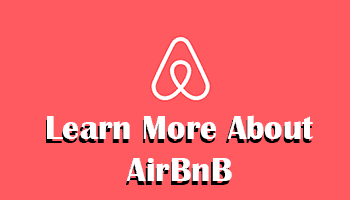 Luckily, you can combine both during your stay at this UNESCO world heritage site. Where: Denizli in southwestern Turkey. Colosseum might the world’s most famous amphitheater, but Aspendos in Turkey is well known among historians and archeologists for having one of the best-preserved amphitheaters. 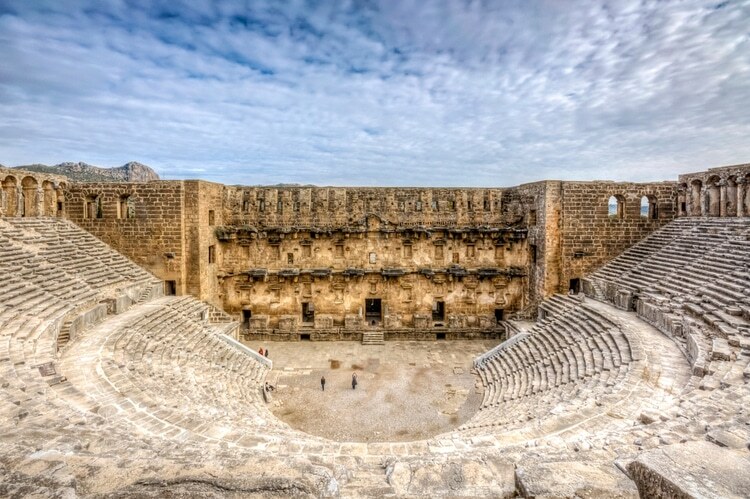 It’s a grand venue with seating for 12 000 people and was built already in year 155 B.C. 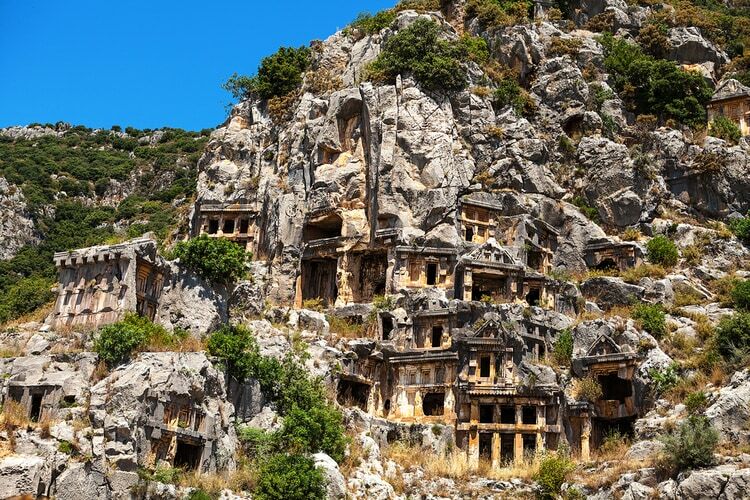 Myra was an Ancient Greek town in Lycia, which is nowadays known for its vertical rock tombs. 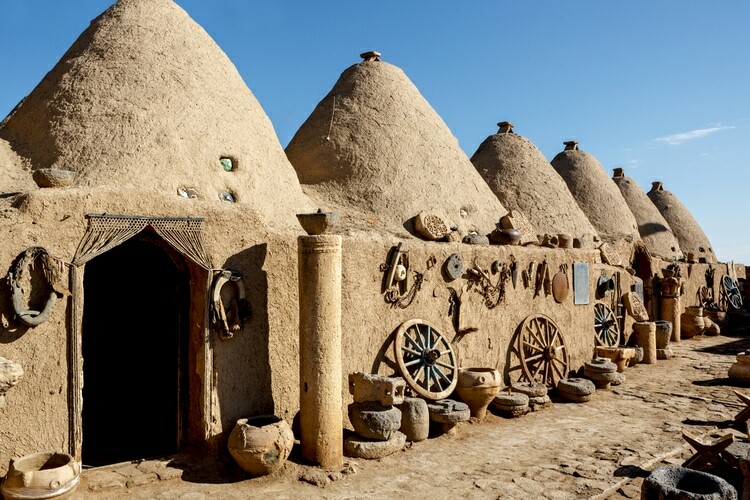 These unique houses were once part of the ancient Mesopotamian city of Harran. It’s a great place to learn more about the history and culture. The beehive houses were inhabited until the 1980’s and the architecture goes back 3000 years in time. Another stunning historical place to visit in Turkey. 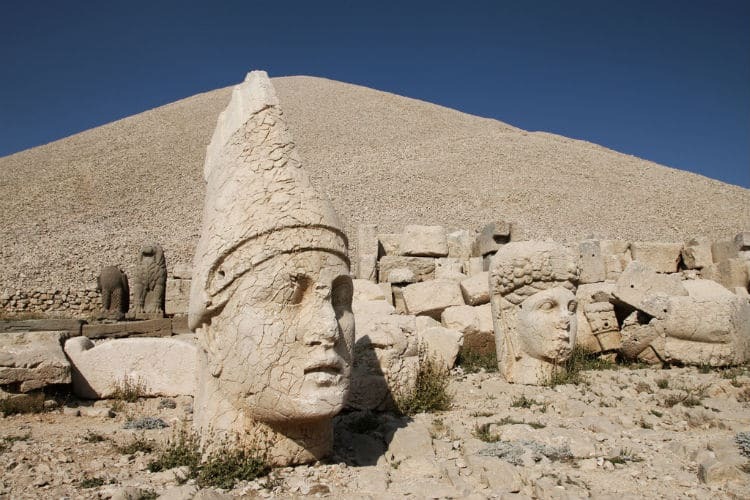 Mount Nemrut is listed as a World Heritage Site by UNESCO, and it’s home to some pretty amazing statues and archeological sites. 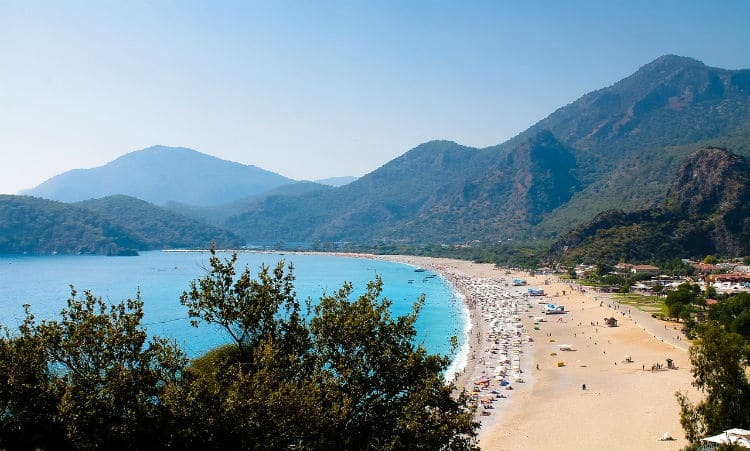 Enjoy the longest beach in Turkey! It’s a hidden beach gem where you can also see some antique ruins. 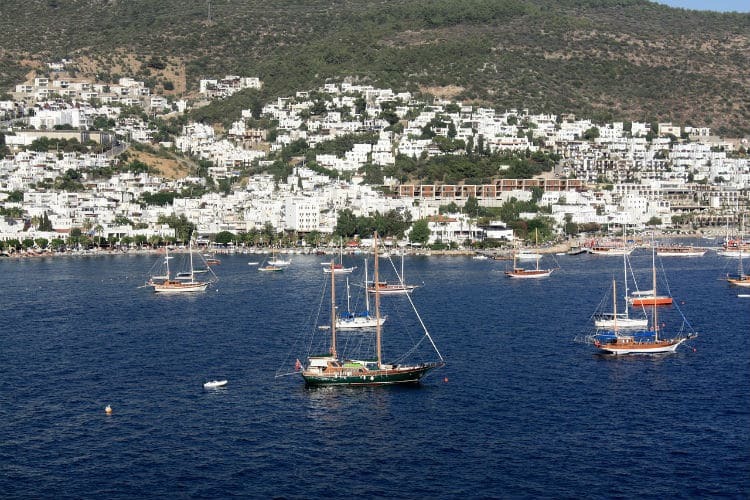 Bodrum has everything one could wish for when it comes to vacation. 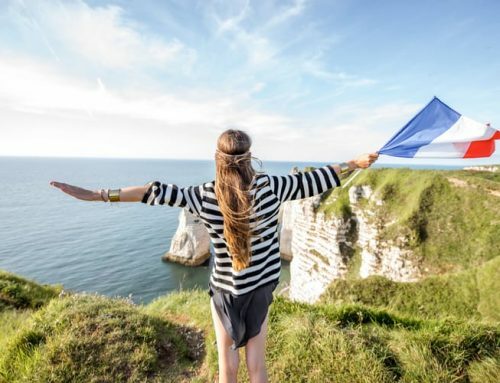 Beaches, restaurants, shopping, and local culture. This is also a place where you can feel a mix of Turkish and Greek, and Bodrum has a very tranquil feeling to it. Along with the coastline, one could also find several beautiful bays. Sailing is highly recommended here! 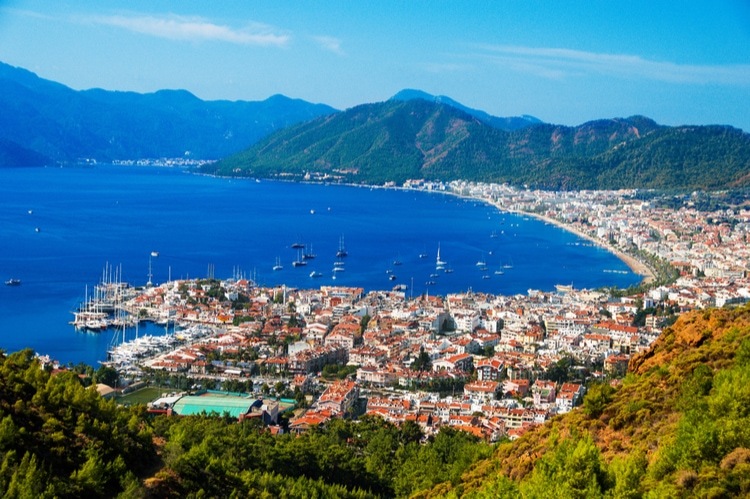 Marmaris is a lovely seaside town that’s become quite a popular tourist destinations. Visitors can also come here on a day trip from Rhodes island in Greece, which is just a short boat ride from Marmaris. 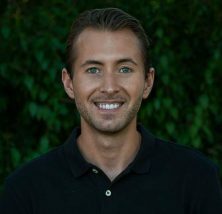 You have probably heard about Noah’s Ark. Mount Ararat is widely accepted as the resting place of the ark, and it’s located in the Eastern Anatolia region. 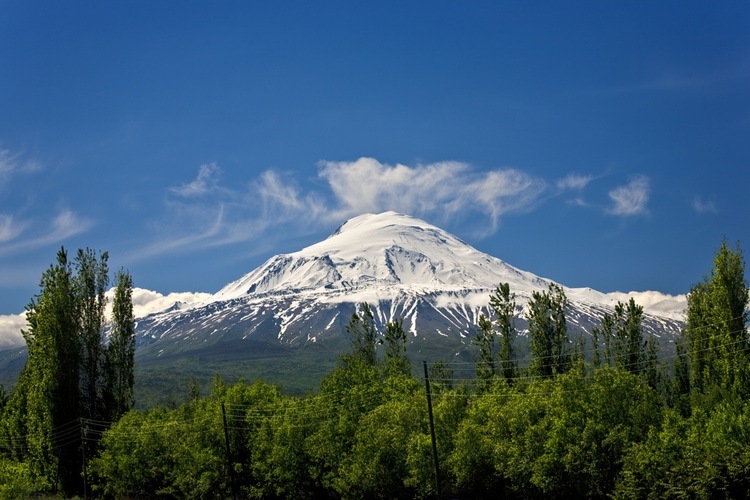 It’s also the tallest peak in Turkey, so it’s an interesting place to visit for mountain-climbers. It’s beautiful from a distance too! 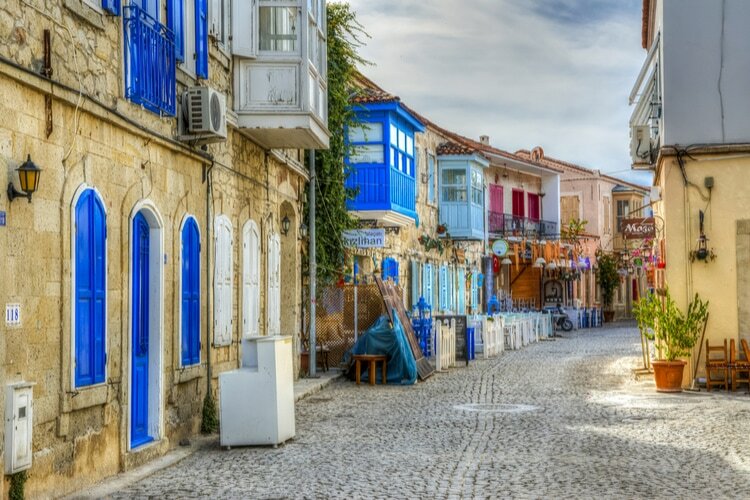 Alacati is famous for its stone houses with colored windows and hanging balconies. It’s a beautiful beach town that isn’t very well known among international tourists. 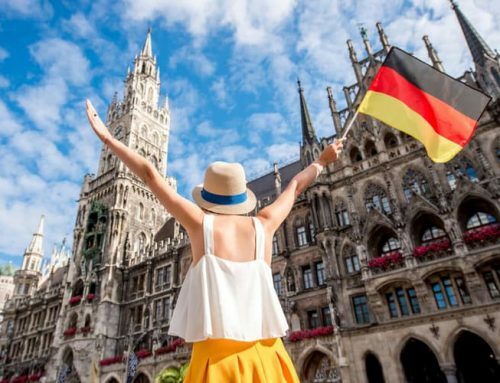 However, it’s quite popular among domestic tourists, especially during the summer months. Alacati is also a great place to learn windsurfing. Where: About 1 hour driving from Izmir. 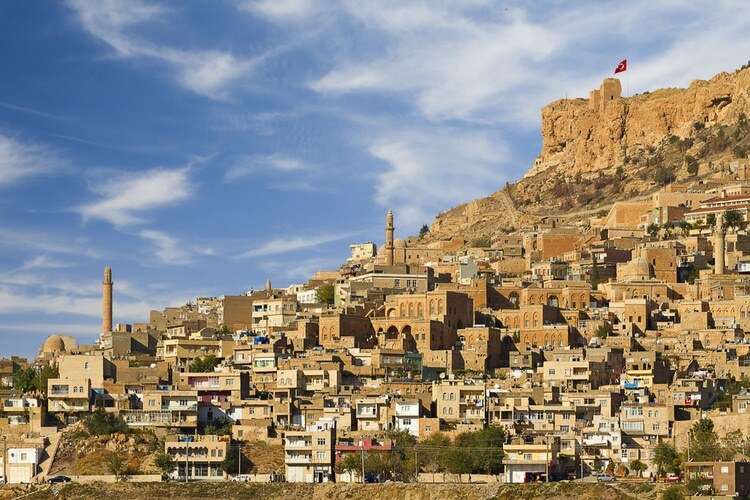 Mardin is especially known for its Artuqid architecture and beautiful location, perched on a rocky hill. The whole city is listed as a World Heritage Site by UNESCO, and it’s home to several historical landmarks. 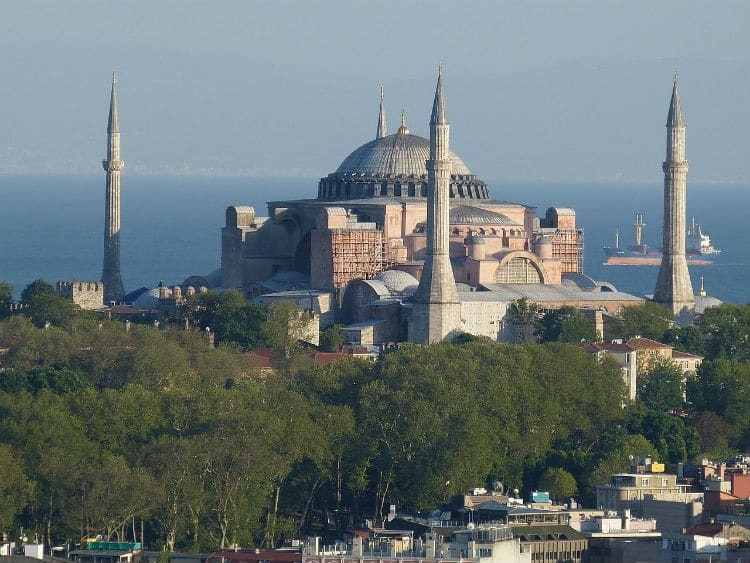 Hagia Sophia is located in Istanbul, but it’s well worth its own place on this list. Hagia Sophia was originally built as a church and later transformed into a mosque. Its architecture is absolutely stunning, and it has inspired many other buildings. Since 1935, Hagia Sophia was transformed into a museum by Mustafa Kemal Atatürk. Where: In Istanbul at Sultan Ahmet Mahallesi. 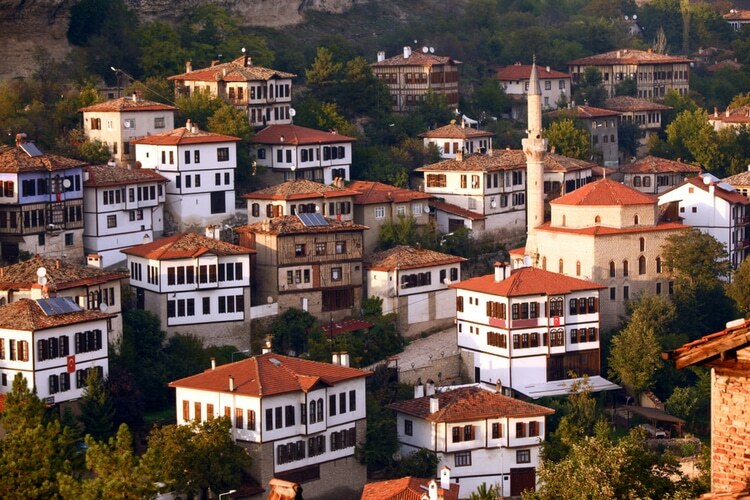 This is the former capital of the Ottoman Empire, and one of the UNESCO world heritage sites in Turkey. Here, you’ll find many külliye, mosques, and bazaars as well as the well-preserved village of Cumalıkızık. Bursa is also famous for its textile industry and it’s the 4th largest city in the country. The capital of the Hittite empire and a UNESCO world heritage site. It’s an ancient place where the Hattian people founded a settlement about 2000 years B.C. 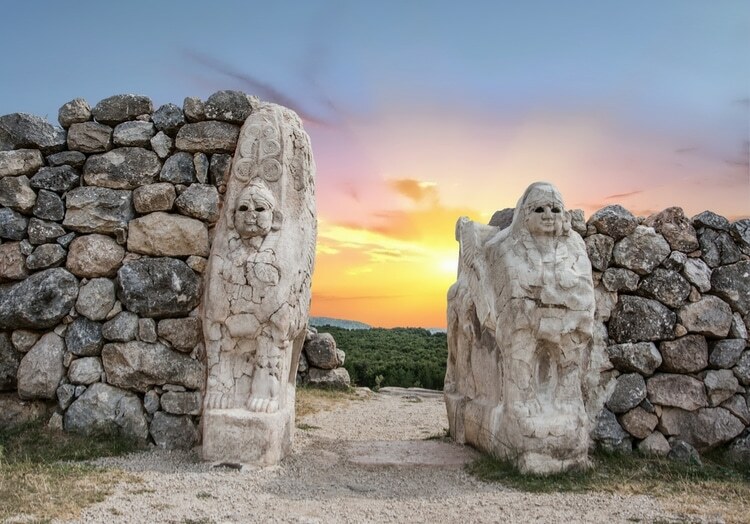 One generation later, a Hittite speaking King chose this place as his residence. Today, you can see some well-preserved gates, temples, and palaces. This ancient town was once one of the main trading centers for the highly valued spice Saffron. Today, it’s best known for its extraordinary historical sites and well-preserved houses. 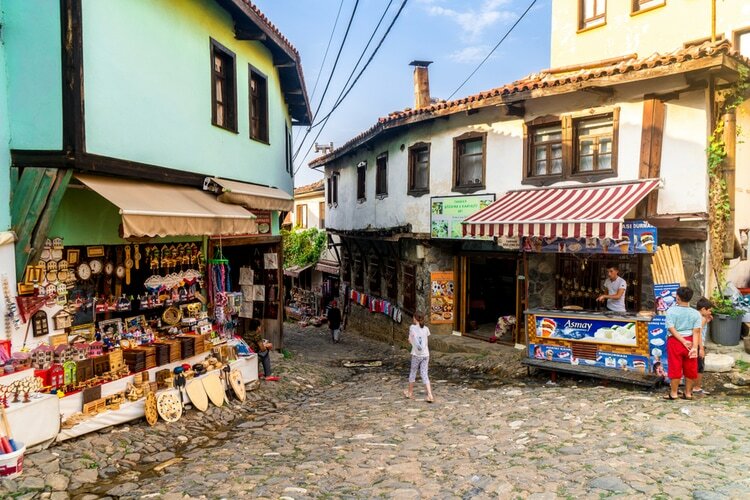 Safranbolu has more than 1000 registered historical artifacts, and it’s highly recommended to go here if you’re a history buff. Where: Central North, about 2h and 30 minutes from Ankara by car. 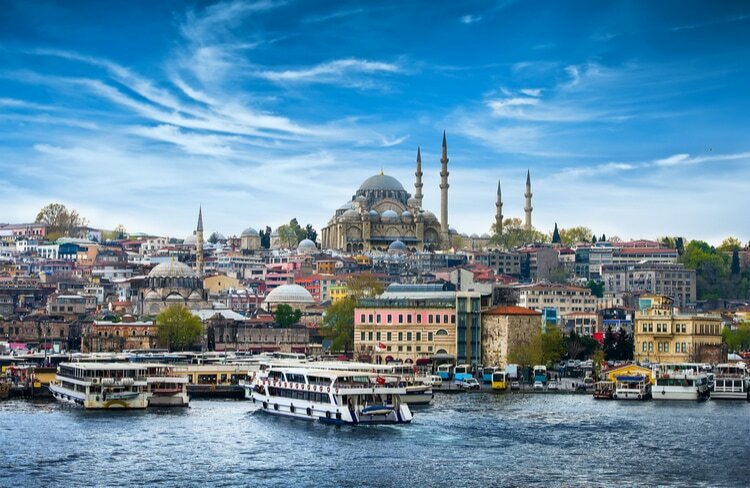 Last but not least, we have the Largest and most famous city in Turkey – Istanbul. An ancient city where east meets west, and a city where you can find one of the biggest bazaars in the world. Istanbul is also home to many historical places and it’s definitely one of the best places to visit in Turkey. These are my 10 favorites. Do you agree? Share your own favorite places to visit in Turkey in the comment section below. So, now that you know about all these beautiful places to visit in Turkey, it’s time to book your trip! Turkey is an incredible destination where you can spend weeks or even months. If you know some more beautiful places to visit in Turkey, feel free to share in the comment section!